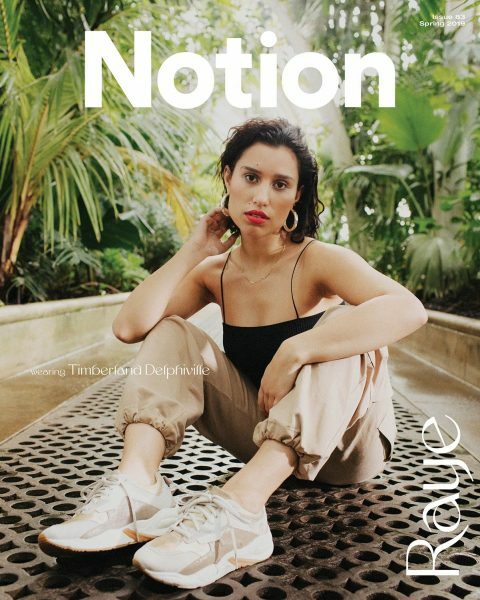 Raye fronts her second Notion cover this month. Myleene Klass looks stunning on her 10TH Fabulous Magazine cover! She talks blended families, new business ventures and a new arrival. As his single ‘Told You So’ hits the playlist at Radio 1, HRVY chats to 1883 Magazine. Check out Cheryl’s stunning cover of Stella Magazine. Mighty Hoopla announce the latest addition to its incredible 2019 – the legendary Cathy Dennis, making her first live appearance in twenty years. Having won six Ivors, numerous ASCAP awards, been nominated for 4 Grammy’s and 3 Brit Awards, it is little wonder Q Magazine hailed Cathy Dennis “one of the most influential people in the music industry.” She has, after all, penned global hits for Kylie (‘Can’t Get You Out Of My Head’), Britney (‘Toxic’), Katy Perry (‘I Kissed A Girl’) alongside songs for the likes of Celine Dion, Pink, Ariana Grande, Kelly Clarkson, Christina Aguilera, and Little Mix to name just a few. This year Cathy is celebrating an incredible 30 years in the music business. Having landed four top 10s in the US and released three acclaimed solo albums along the way, Mighty Hoopla marks Cathy Dennis’ return to the public eye and a rare opportunity for one of the most influential people in British pop history to take their rightful place centre-stage. Cathy Dennis is the latest peek of Mighty Hoopla’s extraordinary 2019 line-up, which is topped by multi-million-selling headliner Chaka Khan. Where else are you as likely to witness iconic acts like All Saints or Bananarama as you are RuPaul’s Drag Race All Stars’ winner Trinity The Tuck? Or, to find names such as Tove Lo, Kate Nash, or Confidence Man side-by-side with London’s most subversive club-nights? Since its inception in 2016, Mighty Hoopla has led the charge to become not only the most colourful party in the town, but a thrilling space in which all walks of life (not to mention pop royalty) stand side-by-side with London’s most thrilling alternative nightlife. And it’s this fine balance which is the essence of Mighty Hoopla, the singular festival in which truly anything is possible and truly everyone is welcome. A festival that celebrates pop and club culture in completely equal measure. Mighty Hoopla was founded in 2016 by the collective minds of Jamie Tagg, Glyn Fussell (East Creative/ Sink The Pink), Sean Rowley (Guilty Pleasures), Ally Wolf (The Grand) and John Burgess (Bugged Out). Originally starting it’s life at Butlins in 2016, Mighty Hoopla then moved to Victoria Park a year later before finding its home in Brockwell Park in 2018. Now lead by the team at East Creative, an Warholian umbrella of LGBTQ+ artists and events including Sink The Pink and Savage Disco, have given Mighty Hoopla something they felt was missing in London. And at a time when the watchwords for London nightlife over the last few years have been closure and prohibition, Mighty Hoopla appears to mark – almost entirely by accident – A Real Moment. “Everything we’ve been working towards,” says Fussell, “felt like it came to fruition at last year’s Mighty Hoopla. It was the happiest day of my life.” The mission now, then, is to push even further in against conservative convention. To make a space in which the margins take a rightful march towards the mainstream, cascading from the night-time into the sun-kissed day of a London festival. In a bleak world, the Peacocks will always win. HRVY covers the brand new issue of 1883 Magazine, out mid April. Today Louise announces her ‘Heavy Love’ Tour 2020, in support of her brand new album 'Heavy Love' which will be released via ADA / Warner on 18th October 2019. Taking in 11 venues across the UK in March 2020, the tour will be Louise’s first full UK tour since her sell out 'Intimate and Live' mini tour at the start of 2018 and her 2017 comeback show at Under The Bridge in London. The tour will see Louise performing all of her greatest hits plus songs from the new album. YOU Magazine’s editor Jo Elvin spoke to Louise for an emotional interview. Ant & Dec gave their first interview of 2019 to The Guardian Weekend Magazine. Louise Returns With First New Music In 16 Years! Today Louise announces her first new music in 16 years, a brand new album 'Heavy Love' released via ADA/Warners on 18th October 2019. Recorded in Sweden, London and LA, 'Heavy Love' is Louise's first album in 18 years. She has worked on the album with a sensational collection of music luminaries including Clean Bandit, RAYE, Eg White, Sinead Harnett and Karen Poole. The first song from the album to be premiered, 'Stretch', will released tomorrow Tuesday March 26th. 'Stretch' is slick slice of mid-paced electric funk pop featuring her unmistakable sweet vocals that make the song instantly 'Louise'. The track is sure to excite fans of Louise's previous pop smashes, alongside igniting a whole new legion of fans that love pure pop music. The incredible video for 'Stretch' will premiere this Friday. Louise rose to fame as one quarter of pop supergroup Eternal, the first girl band ever to sell over 1 million copies of an album with their 1993 debut ‘Always & Forever’. As a solo artist Louise has had 18 consecutive top solo 20 singles, 6 with Eternal and 12 Solo. Her debut solo album 'Naked' sold over 1 million copies and overall she has sold over 15 million records worldwide and 5 million records in the UK. Her last single 'Pandora’s Kiss' was Top 5 hit in 2003. Louise has released three studio albums to date including the Platinum selling 'Naked' (1996), 'Woman In Me' (1997) and 'Elbow Beach' (2000). In 2001 she released a greatest hits collection ‘Changing Faces - The Best Of Louise’. In 2018 she returned to music with her 'Intimate and Live' comeback tour with the entire run of dates selling out in 3 minutes! In summer 2018 Louise played some of the biggest summer shows in the UK including the legendary Isle of Wight Festival, The Mighty Hoopla, as well as supporting Britney Spears at the Iconic Brighton Pride. Jesy Nelson, member of the world’s biggest girl band Little Mix, will explore body image and mental health in a brand new documentary for the BBC. Jesy Nelson: My Story (w/t) will look at how growing up in a social media-fuelled age of selfies, body shaming and trolling is having a profound impact on the mental health of young people. Having lived in the spotlight and under the intense scrutiny of the media for the past seven years, Jesy will bring this unique insight and passion to the documentary, as she shares her very personal experiences and talks to young people who have been affected. Jesy says: “This is a project really close to my heart, and I’m delighted to be working with the BBC on a documentary that will both challenge me personally and also highlight a hugely important issue affecting young people today”. The documentary will premiere exclusively on BBC Three before it airs on BBC One. It is an October Films production and the Director is Adam Goodall. The Executive Producers are Richard Cook, Adam Bullmore and Matt Robins and the Producer is Candace Davies. It was commissioned by Fiona Campbell, Controller BBC Three and David Brindley, Head of Commissioning, Popular Factual and Factual Entertainment. The Commissioning Editor is Max Gogarty. The UK's hottest rising pop star and one of 2019’s BBC Radio 1 Brit List artists, HRVY, today releases his brand new single 'Told You So'. 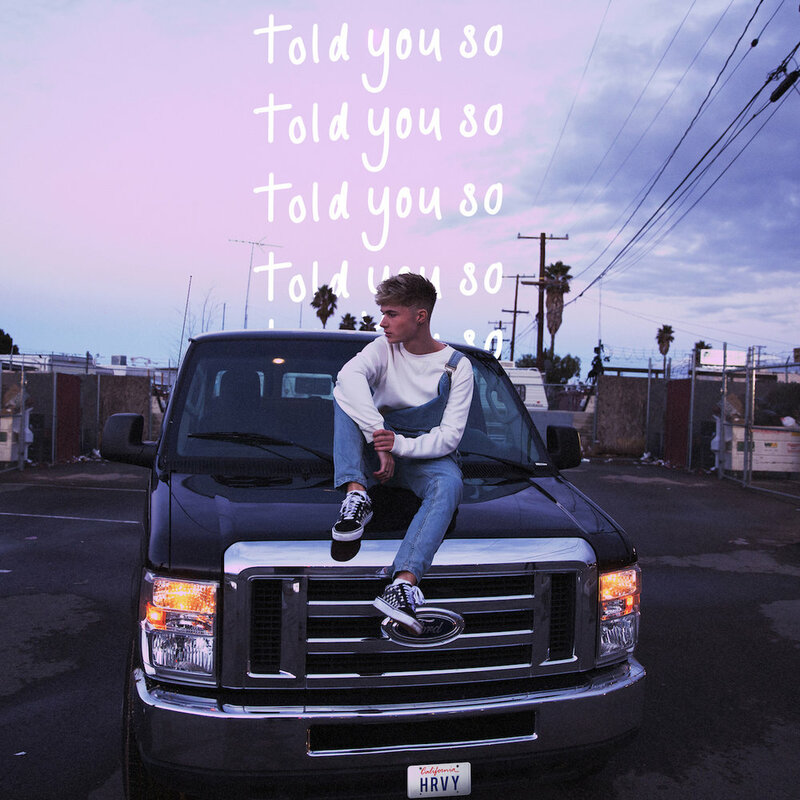 ‘Told You So' is an unstoppable and unforgettable slice of dance pop, featuring piano chords and smooth synth riffs, all wrapped up in HRVY's dreamy vocals. At just 20 years old, HRVY is already a global star. He has 4.1 million Instagram followers, over 2 million YouTube subscribers and more than 500 million combined streams to his name. In December he sold out his biggest ever UK headline gig at London’s Hammersmith Apollo. HRYV's recent single 'I Wish You Were Here' was a UK airplay hit playlisted by Radio 1 and Capital FM. It offered the perfect introduction to HRVY's cool, concise pop sound and was a worthy follow-up to his 2017 smash ’Personal’, which has now amassed more than 250m streams. Last summer, he joined huge dance producer Jonas Blue on stage at Capital's Summertime Ball. He also teamed up with Cuban-American rising star Malu Trevejo for the bilingual bop 'Hasta Luego', which became a No.1 hit in nine markets worldwide. In 2018 HRVY was nominated for both a Nickelodeon Kids Choice Award & a BBC Radio 1 Teen Award. He also headlined the Radio 1 Teen Awards in October performing two track s to the sell-out crowd and becoming one of the most watched performances from the event. He was also one of the faces of JD Sports Christmas advertising campaign featuring in a National TV campaign and instore activity across the country. For HRVY, 2019 will bring more great music, more live shows including a current European Headline Tour, supporting The Vamps on their UK tour this May plus a debut performance at BBC Radio 1’s Big Weekend. "Music's become much more global in the last few years and I want to be part of that," he says. "I want people all around the world to know the name HRVY stands for a really big, amazing show." Her new album ‘My Happy Place’ is coming April 12th, and now Emma Bunton covers Stella Magazine with a stunning photoshoot and interview. Louis Tomlinson returns with his first new music of 2019, a brand new single 'Two Of Us', released today Thursday March 7th. Louis says 'Two Of Us' is a song he “absolutely needed to write”. From its opening bars, it’s clear that this is no ordinary pop ballad. “You’ll never know how much I miss you, the day that they took you, I wish it was me instead,” he sings on the first verse. Louis says that because 'Two of Us' is so deeply personal, it’s the perfect song to spearhead his return to music following last year’s successful stint on The X Factor. Tomlinson’s unaffected and constructive judging style stood out during his first year as a judge, seeing him win the series. He already has two hit solo singles to his name, the club-ready Steve Aoki collaboration “Just Hold On” and brooding Bebe Rexha duet “Back to You”. These two singles alone have gathered over a BILLION streams. In 2018 Louis won an iHeart Award for 'Best Solo Breakout', and an EMA Award for 'Best UK & Ireland Act' in 2017. He was ranked No.5 on Billboard’s emerging artists of 2018 and has over 60 million combined followers on social media. As a member of One Direction, Louis has sold over 100 million records. Superstar DJ Martin Jensen teams up with global smash singer-songwriter James Arthur for a brand new surefire hit, 'Nobody'. Written by Philip Plested and Scott Harris with Martin himself, the song is an uplifting slice of dance pop featuring acoustic guitars and exhilarating vocals. Martin Jensen is an ambitious, driven and hard-working DJ and artist with a special ear for big tracks and catchy choruses. He is behind official remixes for acts such as Ed Sheeran and Katy Perry and has been ranked highly on DJ Mag’s Top 100 list for the last three years. In record breaking time Martin has managed to establish his name among the most popular DJs. Martin's biggest single, 'Solo Dance', has been streamed more than 500 million times on Spotify and has gone multi-platinum in over 14 countries. Overall, Martin's singles have been streamed over one billion times on Spotify. The last few years have been remarkable for James. He was recently awarded a disc for reaching a billion streams on Spotify with his No.1 global hit 'Say You Won't Let Go'. Only 18 records have achieved a billion streams on Spotify in history, and James is one of 10 artists globally to do this including Drake, Ed Sheeran and Justin Bieber. His recent duet with Anne-Marie 'Rewrite The Stars' from The Greatest Showman Reimagined has been streamed an amazing 251 million times, whilst his 2018 song 'Empty Space' has already hit over 86 million streams. His 2016 album "Back From The Edge" went straight to No.1 in the UK charts and has gone multiplatinum worldwide. In total James has now sold over 25 million records globally. Euphoria Magazine's New Cover Is Emma! Check out the stunning new cover of Euphoria Magazine featuring Emma Bunton, out now. Photography by Jack Alexander and styling by Adele Cany.